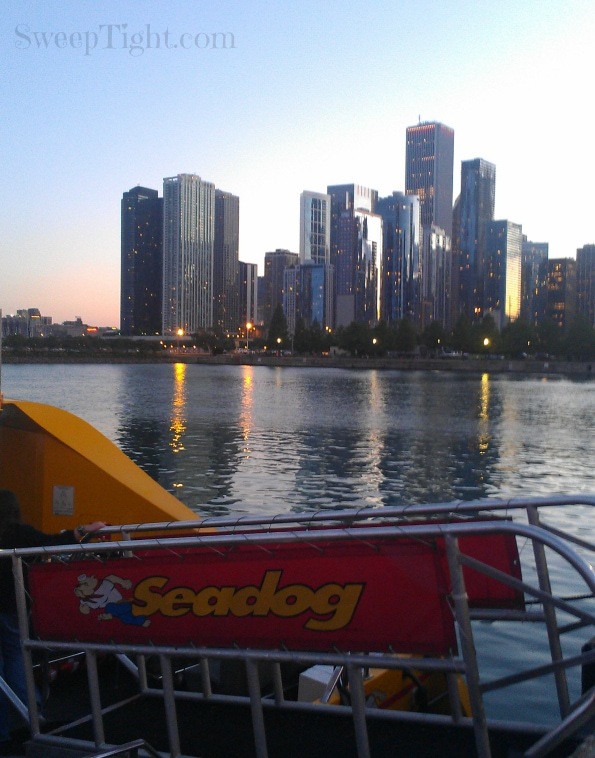 Thanks to Madame Deals and their #PayItForward campaign my sister and I got to experience the Seadogs Fireworks Cruise in Chicago during BlogHer. We received this experience free of charge and all opinions are my own. 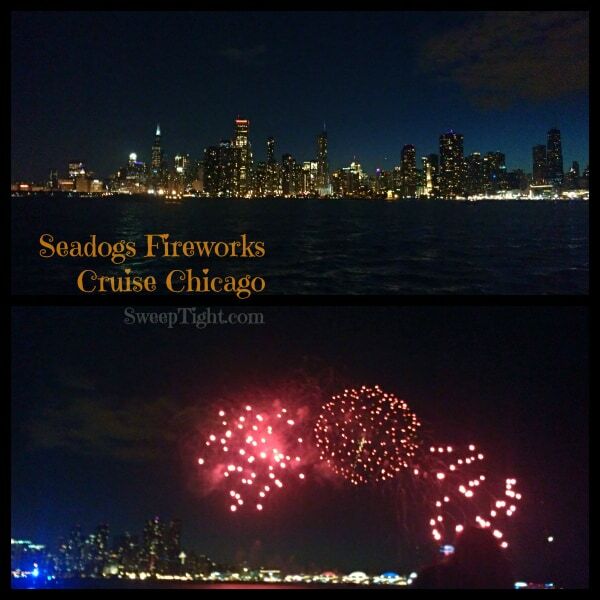 Seeing the fireworks from the lake on the Seadog Cruise is a memory we won’t soon forget. His name is John and he’s fantastic. Well, duh. Why else would I be with him! 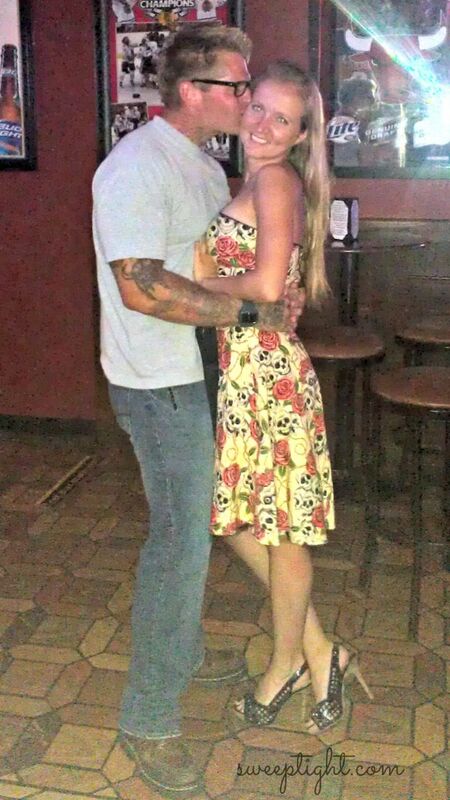 We met in school and I seriously couldn’t be happier. But… he’s away for a while because he is going to school in Vermont. So when he’s in town, date night is a big deal. The next time he’s in I am insisting that we go on the Seadogs Fireworks Cruise. Going on this cruise with my sister and Shauna (from Adventures of 8) was definitely a blast, but it could have a whole new feeling if you’re with a romantic partner. Don’t worry Shauna, I still loved snuggling with you! 😉 If you’re ever questioning what to do on a date night in Chicago, the Seadogs are an excellent option – weather pending, of course. The Seadogs Fireworks cruise seems like the best choice for a new relationship. It’s romantic, calm enough to still have a conversation, and the best opportunity to cuddle. Once you’ve been together a few months, maybe test your adventure levels with the Extreme Thrill Ride. With the crazy twists and turns on the water, you’ll be able to see your partner’s reaction and see if you both have the same level of adventure seeking. Maybe you’ll want to go skydiving after the cruise. Or, maybe you’ll decide you’d both rather hit the couch for a serious Netflix marathon. Either way, it’s a super fun memory and bonding experience to make. Snuggling up with each other under a sky full of fireworks, a full moon and the skyline of beautiful Chicago is definitely a date night to remember. Since summer is practically over, I think I’m going to try to plan for the Halloween Fireworks Cruise! How fun! Plan your next date night in Chicago with the Seadogs! Have you ever seen fireworks on the Seadogs in Chicago? Well, congrats on the boyfriend and on your studies! 🙂 This does look like a fun cruise although I would definitely take something warm. I have been on a few Chicago cruises, but I have never been on this one, nor have I been on one where I have seen fireworks. Now you’ve got me wanting to take the kids on this one! This is such a sweet date night, and congrats on the new relationship! I have family in Chicago but I had no idea that there were services like that over there. oh gosh, that looks like TONS of fun. there’s totally something romantic about being on the water and fireworks…. I wanted to take this cruise last month when I was in Chicago. Sounds like a great plan for a date night! I wish I could have gone on this cruise; maybe sometime in the future I can!